In defense of tights: A BuzzFeed list unjustly maligns the most flexible, silky item in your drawer. Oh, You Think Tights Are Evil? You’re Evil. 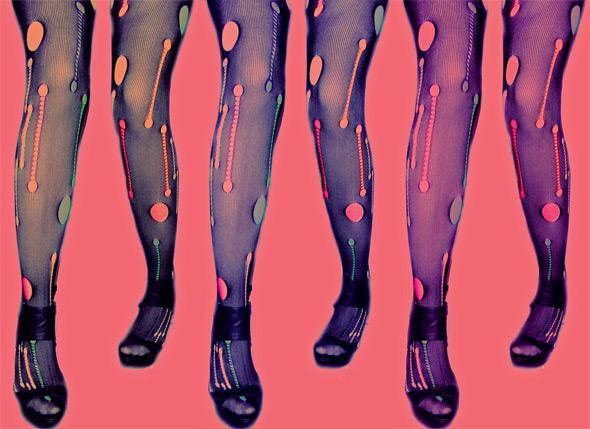 Tights come in every imaginable style and color combination. The end! There are perhaps some variations (2.5: Tights rip. Cool, now I’m wearing ripped tights and look like Rihanna) and footnotes (it’s true that unpeeling tights feels vividly great). But the process of donning silky legwear that conforms to the unique shape of your thighs and calves is neither as complicated nor as psychologically demeaning nor as physically harrowing as BuzzFeed makes it out to be. Tights come in colors you never dreamed existed, as well as fishnets and nudes and thigh-highs. They have none of the subtle structural coercions of jeans. None of sweatpants’ passive-aggressive nonchalance. Their variety and versatility allows them to adapt to the occasion, just as their sheer webbing graciously accommodates the contours of your body, no questions asked. Obviously, I could go on and on about the virtues of tights and the baseless depravity of BuzzFeed’s attack. But instead I will point out that BuzzFeed itself has sung the praises of three different varieties of stockings in the past. Consistency aside, why does BuzzFeed feel the need to periodically declare war on random pieces of women’s legwear? What is the endgame? Jorts? Where are the listicles decrying ties for compressing one’s windpipe and cufflinks for falling into one’s soup? This post strikes me as one more cynical attempt to score cheap feminist points by bugling about phantom oppressors. Don’t be fooled, guys. With the third polar vortex on its way, you’ll need every layer.